CYD Journal: Community Youth Development is dedicated to voicing progressive, humane, and caring approaches to the development of youth and community. 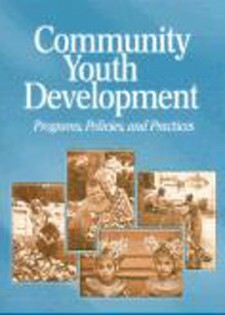 It is the only periodical whose focus is Community Youth Development (CYD): an exciting philosophical, sociological, and educational movement which harnesses the power of youth to affect community development, and similarly, engages communities to embrace their role in the development for youth. CYD Journal is published by the Institute for Just Communities (IJC) and the Institute for Sustainable Development, Heller School of Social Policy and Management, Brandeis University. Our mission is to be a catalytic force in promoting youth and adult partnerships; working to create just, safe, and healthy communities; and influencing policymakers at the local, regional, and national levels. Our features, columns, and themes translate the CYD vision into action; promote dialogue about key issues; and teach critical community-building and organizational skills.